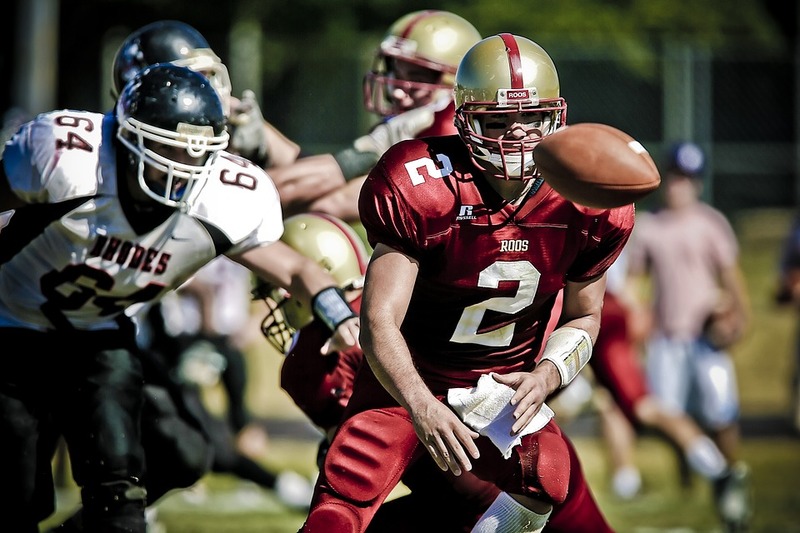 SAN FRANCISCO (CN) – A Ninth Circuit panel hinted Monday it won’t revive a proposed class action on claims the NCAA has an employment relationship with college football players and must pay them for time spent on the field. Senior U.S. Circuit Judge Andrew Kleinfeld said multiple times in a high-stakes hearing that it appeared to him former University of Southern California linebacker Lamar Dawson was instead an employee of USC, which is a member of the National Collegiate Athletic Association’s Pacific-12 Conference. Kleinfeld, a George H.W. Bush appointee, noted schools set the employment-like rules governing football activities, including scholarship compensation – not the NCAA and its conferences. Dawson sued the NCAA and Pac-12 in 2016 for failing to pay Division I football players for practicing and playing their sport. Arguing the Ninth Circuit defined the relationship between student athletes and the NCAA as “labor for in-kind compensation” in O’Bannon v. NCAA, Dawson maintained an employment relationship exists between the two, mandating player compensation. The NCAA and Pac-12 in turn disputed Dawson was their employee, citing Berger v. NCAA where the Seventh Circuit held former student athletes of NCAA Division I schools are not employees under federal law. U.S. District Judge Richard Seeborg in San Francisco dismissed Dawson’s case in 2017. In a written ruling, he called Berger “persuasive” and held no case law supports the argument that revenue generation establishes an employment relationship. He added O’Bannon hadn’t established an employment relationship between student athletes and the NCAA. O’Bannon, which held the NCAA violated antitrust laws by prohibiting payments to student-athletes, is the focal point of a similar class action against the NCAA in Oakland federal court challenging pay restrictions on student athlete compensation. The judge presiding over that case has yet to issue a verdict following a September bench trial. Seeking reversal Monday, Dawson’s attorney Mark Rifkin of Wolf Haldenstein Adler Freeman & Herz argued the NCAA and Pac-12 are “joint employers” of Division I football players. The NCAA, Rifkin explained, sets the rules governing football in the Pac-12, which the Pac-12 adopts. Citing the NCAA’s 2014 decision allowing schools to offer full athletic scholarships, Rifkin said every school in the five largest conferences in the United States began awarding full scholarships within one month of the decision. NCAA attorney Daniel Volchok, of Wilmer Cutler Pickering Hale and Dorr, sought to discredit the idea a regulator like the NCAA is an employer by presenting examples of the illogical employment relationships that would result. California-based lawyers would become employees of the state bar association once becoming licensed, Volchok said. And truck drivers would be employees of the federal government because the federal government sets the maximum number of hours truck drivers may work. Volchok used the same tactic to dispute revenue generation establishes an employment relationship under federal law. He said if it did, Little League players would be employees of their teams “in violation of the child labor laws,” because ESPN pays “eight figures” to air the Little League World Series. Meanwhile, he said, female college athletes would be discriminated against because women’s sports don’t generate revenue for their schools. Chief U.S. Circuit Judge Sidney Thomas and U.S. District Judge George Wu, sitting by designation from the Central District of California, rounded out the panel.